Sublime Craft Michelada with Craft Mexican Lager & Craft Michelada Mix! Impress your friends with mixing south-of-the-border flavors with American craft beer. What I’ve done here is take a Classic Mexican cocktail, and make it a true SoCal treat. Proper’s Pickle does an amazing Michelada mix that pairs great with Bravado Spice Tex-Mex Cajun spice, and Crimson Special Reserve hot sauce. Bourbon Barrel Foods rounds out the umami in this craft cocktail with their bourbon smoked soy sauce & worcestershire. Those last two are so good! 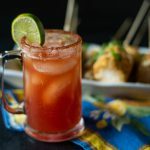 You can purchase these things online, but if you just want to pick some stuff up at your local store, you can pick up the classics – Clamato as the tomato “juice” (which does have clam juice in it, by the way), and uses Tajin for the rim. Easy peasy. You can make it as fancy or simple as you like, but either way, they’re delicious! 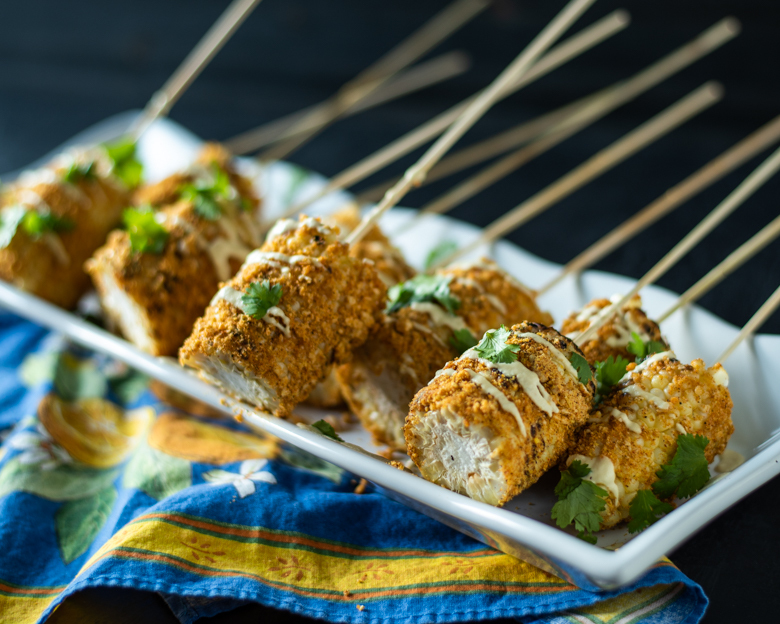 Mexican Elote (street corn) pairs perfectly with this Mexican cocktail, using the same spices in the vegan parmesan. It may be a staple in Southern California, but this is suuuper easy, and will really, REALLY impress your friends if you’re not close to the border like we are! You can find that recipe here. Sit back, and enjoy the video, where the Hubbs and I talk about Michelada’s, and a bit of Mexican Lager history! Make sure to subscribe so you don’t miss an episode! Cheers, and enjoy these last days of summer! 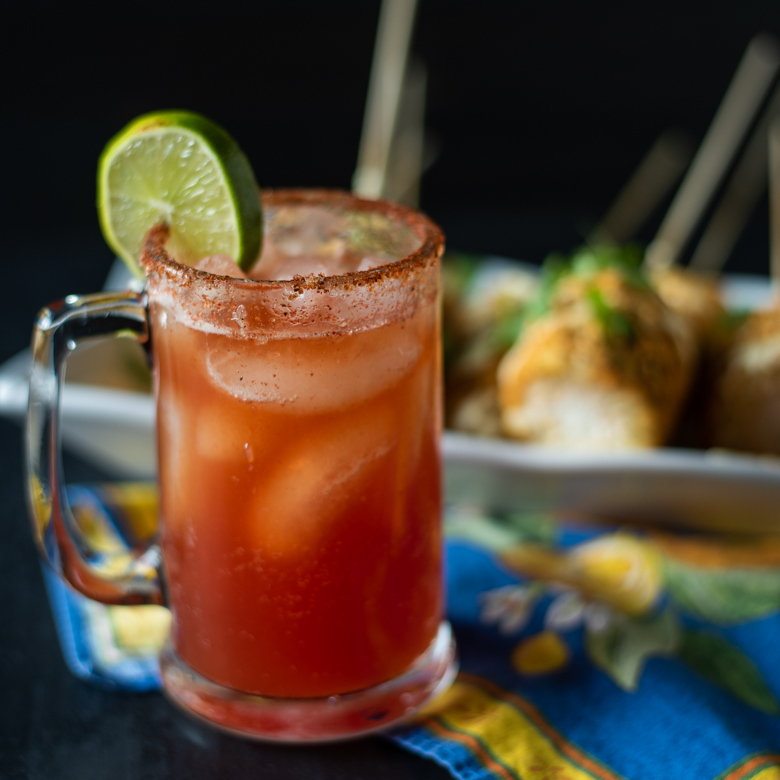 This Craft Michelada is a tasty beverage for your next brunch, or day-drinking excursion! Don't drink and drive tho. Mix the Margarita salt and Bravado Tex-Mex Cajun spice in a shallow bowl or plate. Drag a lime wedge around the rim of two frosted mugs. Dip the rim of the mug in the spicy salt mixture. 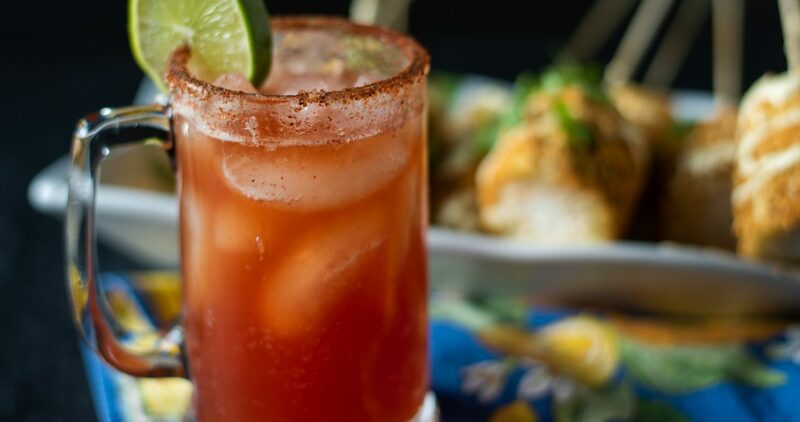 To the glasses, add ice, then divide the Michelada mix, lime juice, smoked Worcestershire sauce, smoked Soy Sauce, and hot sauce. Open the two beers, and pour into the mugs. Serve each beer on the side for an added bonus! *DISCLAIMER:I was given the Bourbon Barrel Foods products (worcestershire & soy sauce), but purchased everything else. Regardless, all opinions are my own, and all products are glorious in their own right! 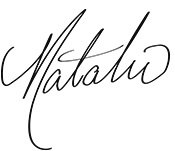 I was not paid for this post.